Let’s start with some good news. Earlier in the month of November 2015, we published the first findings from a major study on public perceptions of the benefits provided by the ocean — research conducted under the NEOPS project. The results indicate a surprisingly broad base of understanding and support for sustainable ocean management that cuts across political affiliations, age groups, and even the proximity of communities to the ocean. More importantly, it highlights exactly which types of action the general public is prepared to take to support sustainable ocean management. (2) the international community is hopelessly gridlocked and incapable of concerted action on the required scale. The oceans seem to fit this paradigm perfectly. The inherently fluid boundaries mean that fish stocks, ocean plastics, nutrients from agricultural runoff, and any number of other things can easily move across international maritime boundaries. Furthermore, although the United Nations Convention on the Law of the Sea (UNCLOS) formalized a series of exclusive economic zones (EEZ) that generally extend 200 nautical miles from coastal boundaries, a number of key EEZ boundaries are disputed. In addition, over 60% of the ocean’s surface area is a grey zone with a limited governance framework and even less monitoring, known as the high seas. Admittedly, it’s a big challenge, but anyone who believes the argument that the international community is incapable of solving big problems would be happily surprised by the example of the Montreal Protocol on the use of chlorofluorocarbons (CFCs). In the 1970s, scientists discovered that CFCs had the capacity to enter the Earth’s protective ozone layer, where they would subsequently break down into constituent elements that would then cause the bonds in ozone molecules to dissolve. By the 1980s, NASA data had confirmed that an ozone hole was expanding over the Antarctic. Within 25 years of the ratification of the Montreal Protocol in 1987, however, the production and use of CFCs had dropped precipitously, the ozone rate had stabilized, and a recovery to pre-1980 ozone levels is expected by 2030. Outcomes of a model published earlier this year show that if the status quo had prevailed, today’s ozone hole would be 40% larger, with a corresponding increase in skin cancers and other negative impacts. So, what was the winning solution? Yes, there was careful scientific analysis of natural systems, and yes, there was effective international policymaking. But the connecting element seems to have been highly effective communication efforts and sustained public interest (although, even in the mid-1980s, the CFC industry was lobbying policymakers, charging that the science was inconclusive and there was no need for regulation). Our study — “Marine ecosystem services: Perceptions of indispensability and pathways to engaging citizens in their sustainable use”, to be published in the December 2015 issue of the scientific journal Marine Policy and available online now — looks specifically at the level of public interest in regards to the oceans. A survey was used to determine not only how the public views the benefits that people derive from the oceans (known as ecosystem services), but also what actions, if any, they are willing to take to ensure the conservation and sustainable use of ocean ecosystem services. According to responses from nearly 1,500 residents from across the United States, there is considerable room for optimism. Respondents saw little distinction between “our” ocean and “their” ocean, but rather view it as a global commons on par with the atmosphere. Firstly, a very strong correlation was found between the perceived indispensability and current state of marine ecosystem services in the US and globally. This suggests that respondents see little distinction between “our” ocean and “their” ocean, but rather view it as a global commons on par with the atmosphere. It also suggests a broad understanding that local ocean problems will not remain local for long — ocean pollution or acidification, for instance, are affecting marine life around the world, regardless of the source of the emissions. Secondly, among a range of potential actions to support sustainable ocean management, by far the greatest opposition was expressed towards taxation. In comparison, there was virtually no opposition to purchasing green products or supporting eco-friendly companies. Likewise, there was a strong positive correlation between age and anti-tax attitudes. 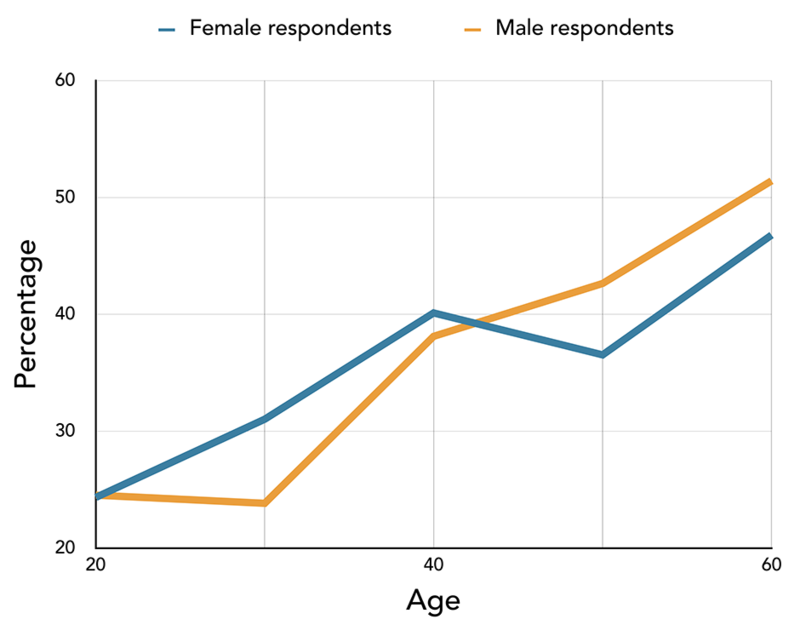 Around 25% of respondents in their 20s opposed a tax to support sustainable ocean management, but among respondents in their 60s, that figure had doubled to over 50% of respondents opposing such a tax. On the other hand, supporting businesses committed to fostering sustainable ocean management was opposed by fewer than 15% of respondents across the entire spectrum. Figure 1: Percentage of respondents, by age group, opposed to a tax to promote sustainable ocean management (solid blue line = female respondents; slashed brown line = male respondents). Thirdly, no correlation was found between perceptions about the indispensability of ocean ecosystem services and political affiliations as measured against the Cook Partisan Voting Index. Furthermore, there was also no correlation between anti-tax attitudes and political affiliations. This is perhaps the most surprising finding, as American politics have been characterized as growing increasingly polarized, with support for environmentalism and unregulated free markets seen as aligning with opposite poles of the political spectrum. These findings suggest a much broader, albeit unspoken, consensus on the importance of marine ecosystem services and respective forms of cooperation to sustain them. Finally, the proximity of respondents’ respective constituencies to the oceans was also not found to correlate with their perceptions of indispensability of the current state of ocean ecosystems. Respondents from landlocked states such as Utah, Montana and Kentucky, for instance, had almost identical aggregate perceptions of the value of marine systems as respondents from coastal states like Hawaii, Florida or Rhode Island. 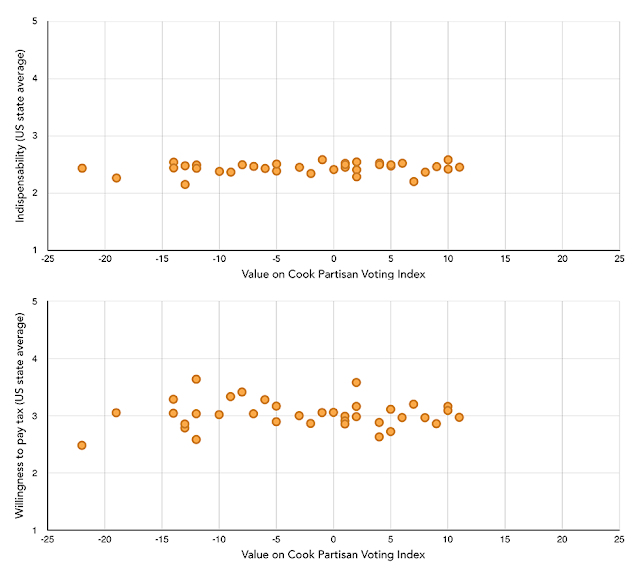 Figure 2: Aggregate perceptions of indispensability and willingness to pay a tax for sustainable ocean management versus Cook Partisan Voting Index ratings (each dot represents one state). This final finding could, potentially, be due to the relatively short history of many coastal communities in the United States. A comparable study of public attitudes conducted in Japan, for instance, found that perceptions of “cultural ecosystem services” were most strongly tied to a willingness to act to conserve coastal ecosystems. This strong cultural focus may be traced back to concepts of satoyama and satoumi, where many generations of close human-nature linkages have resulted in diverse mosaics of different forms of sustainable production activities in landscapes and seascapes, respectively. Ultimately, the results of this study suggest that there may already be considerable common ground on which to build and promote sustainable ocean management issues. Moreover, despite assertions that proximity to the ecosystems producing the goods and services from which one benefits fosters sustainable management practices, these findings suggest that such distinctions may be weaker for marine systems than terrestrial systems. Finally, the strong anti-tax attitudes may be tied to cultural norms in the United States, but the virtual absence of opposition to supporting green businesses or purchasing green products suggests that voluntary bottom-up initiatives are a low-risk and potentially substantial pathway to more sustainable ocean management in the future. In a geopolitical sense, 2015 may be a pivotal year for the oceans. Sustainable Development Goal #14 to “conserve and sustainably use the oceans, seas and marine resources for sustainable development” got formal approval by the UN General Assembly in September. Likewise, in 2015 the first steps were taken towards protecting biodiversity in the vast high seas, with UN member states formally agreeing earlier this year to develop a legally-binding instrument for the conservation and sustainable use of biological diversity in areas beyond national jurisdiction. Last but not least, the outcomes of the high profile climate talks to be held in Paris later this month will likely have a long-term impact on ocean acidification and therefore the very foundations of ocean ecosystems. It can only be hoped that this mix of policy action, broad scientific knowledge and public interest will combine once again to create much-needed successes comparable to the 1987 Montreal Protocol. Robert Blasiak is a Research Fellow at the University of Tokyo Graduate School of Agricultural and Life Sciences, where he is studying how international cooperation can contribute to sustainable fisheries management. He also currently works with the Fukushima Global Communication Programme at the United Nations University Institute for the Advanced Study of Sustainability (UNU-IAS) and previously worked with the Institute’s Satoyama Initiative. He holds a BA from the University of Massachusetts-Amherst, an MSc from Lund University and a PhD from the University of Tokyo. Dr. Nobuyuki Yagi is Associate Professor at the University of Tokyo. The area of his study includes economic development and marine policy. Before joining the University in 2008, he worked for the Fisheries Agency of the Government of Japan. From 1999 to 2002, he was First Secretary at the Embassy of Japan in Washington DC, US. He served as a bureau member for OECD Committee for Fisheries from 2003 to 2008. He received a graduate degree (MBA) from the Wharton School (Class of 1994) of University of Pennsylvania, Philadelphia, US, and doctoral degree from the Graduate School of Agricultural and Life Sciences, the University of Tokyo, Japan, in 2008. 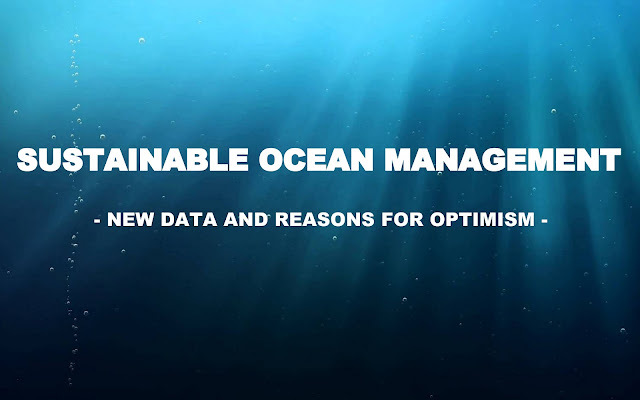 Sustainable Ocean Management: New Data and Reasons for Optimism by Robert Blasiak, Kaoru Ichikawa and Nobuyuki Yagi is licensed under a Creative Commons Attribution-NonCommercial-ShareAlike 4.0 International License.